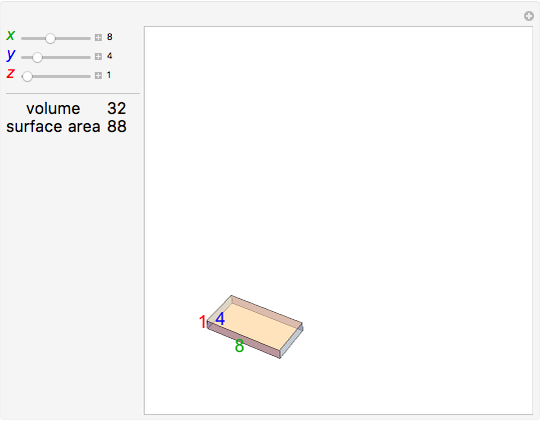 A box, cuboid or rectangular parallelepiped has three pairs of rectangular faces. 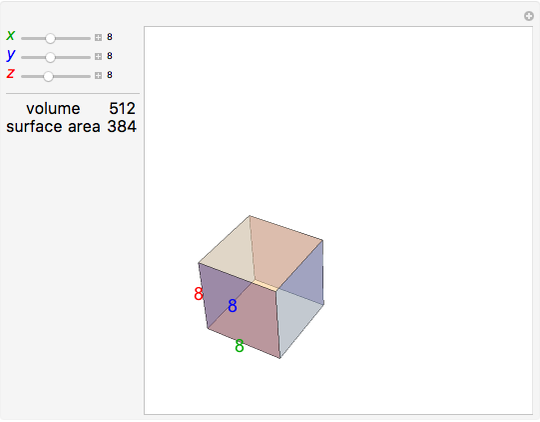 The box has a volume of and a surface area equal to the sum of the areas of its six rectangular sides. 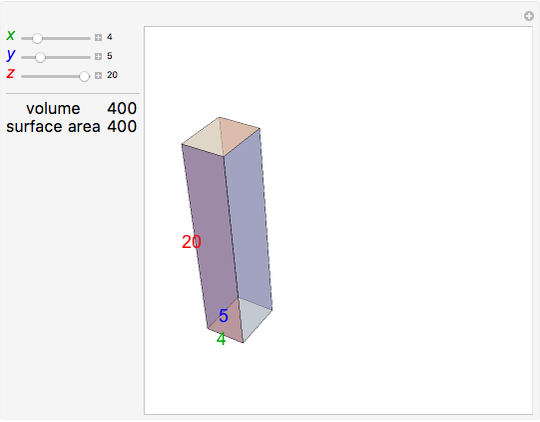 Integer-edged boxes with the same volume and surface area and include 4×5×20, 3×8×24 and 3×7×42. Seven other boxes of this type have all edges less than 19. Ed Pegg Jr "Box Volume and Surface Area"